I’m sure you already have a good idea about the keywords you’re going to use based on your industry, but there are a couple of more bits of research we can do to really stand out. 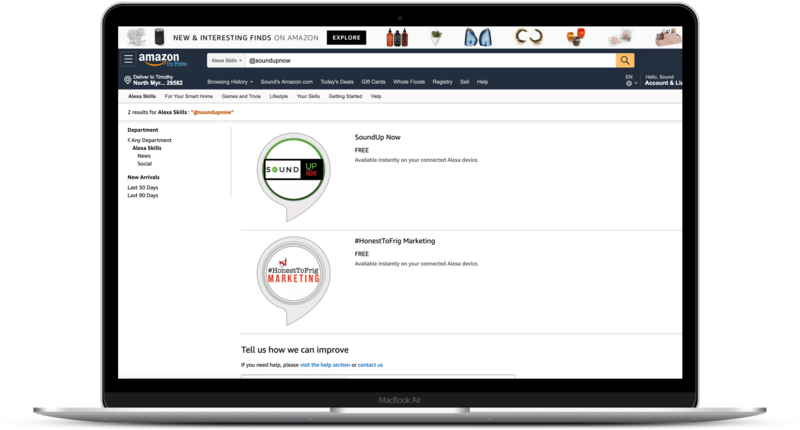 One of the best ways we found to do research is by utilizing Amazon’s Search bar. Go to go to Amazon.com, go to the search bar and change “All Departments” to “Alexa Skills” and start searching your keywords. If your flash briefing is about Real Estate Marketing, we would want Real Estate (real.estate) as a keyword. If we search for that we have a TON of results… this is going to be difficult to rank for. We do want to show up for this keyword… but you have 30 keywords total so why not think a little different? marketing tips. One that I hear about often is Tom Ferry. I So I typed in his name to see what he’s done on Alexa and… nothing… just a few Real Estate related skills pop up… probably adding his name to their keywords. I wrote about this briefly in our last post about Keywords but I did a few extra tests with names, domains, and others. So for this, we’ll use his name as a keyword (Tom.ferry) knowing that there are people searching for him and we have a similar audience. This is the same concept as targeting his followers on Facebook ads. This same concept will work for domains, authors etc. if you think it’s being searched for on Amazon and Alexa then you have a chance of ranking for that term. 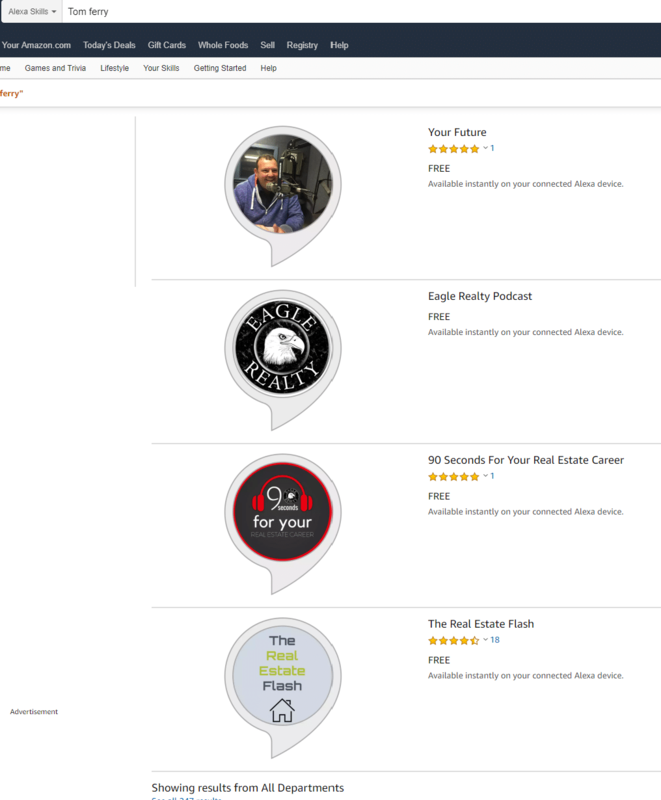 We added Realtor.com to Chris Ward’s Skill “Myrtle Beach Real Estate Minute “and now it shows up in the search results for Realtor.com. For our own Flash Briefing, we added our website to the keywords and description to make sure we show up. Here’s ​a quick video I did on the same subject with a different senario. 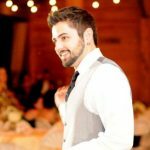 Have you tried any unique keywords or SEO hacks? Let us know in the comments! How did you feel about this post?